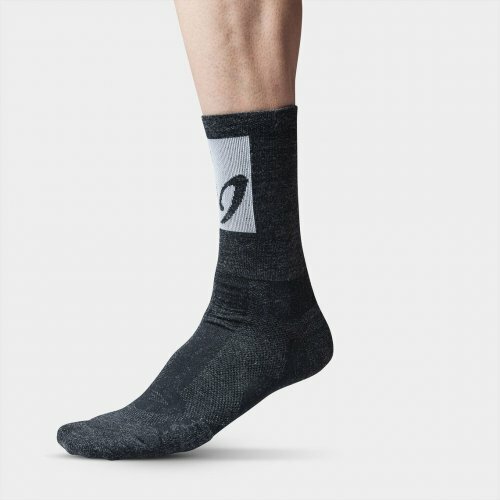 To help you tackle the elements we have a created some beautiful and highly functional Merino accessories, which are essential to any Autumn/Winter ride. Created in the finest Merino quality these versatile accessories will see you through rough mornings and make you feel comfortable all along the way. 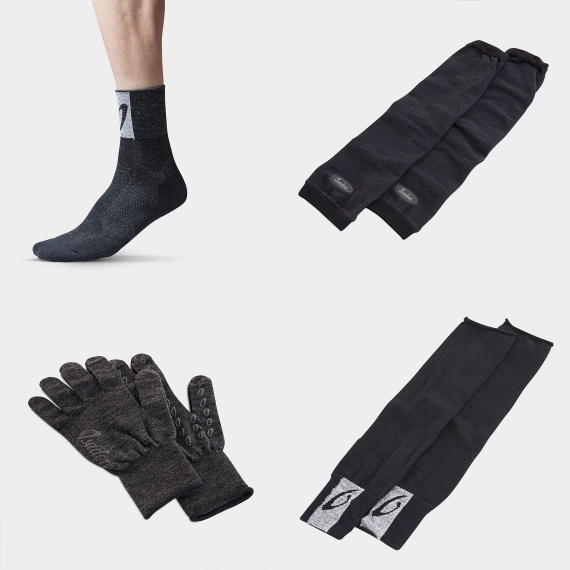 Merino wool gloves, Arm Warmers, Knee Warmers and socks are the essential product of our accessories winter collection. 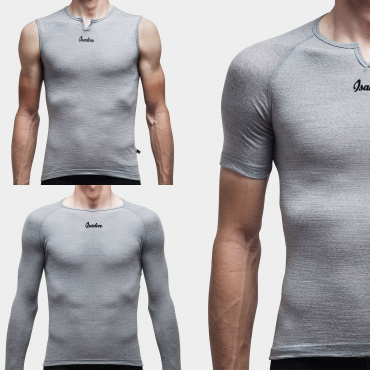 All of this products have seamless construction for top notch comfort during the harshest Winter conditions. 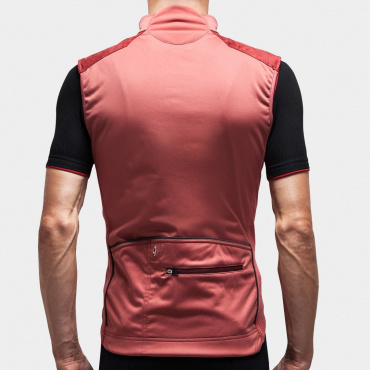 Made from durable synthetic fiber blended with finest Merino Wool offers the highest comfort and protection. 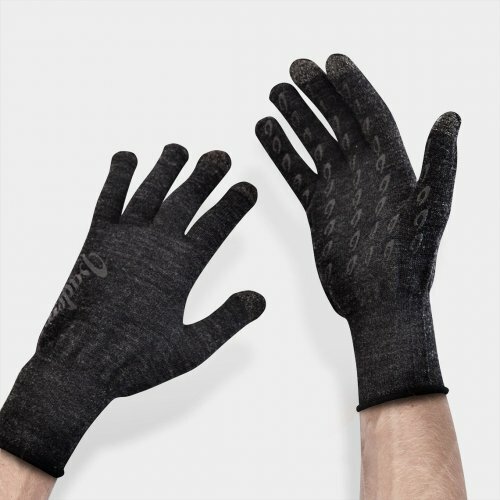 The Merino Gloves additionally feature stylish silicone grip in the palm area to help keeping your hands firmly on handlebars with touch screen friendly yarn added into the fingertips allows you to operate your device without removing the gloves. All products are fast drying and moisture wicking. Naturally anti-bacterial and odor resistant. I bought this bundle as I was looking to ride on some chilly days. I had bib shorts and short sleeve jerseys and needed something to keep my unprotected parts warm. I can tell you that this bundle definitely does the job! Though, when I received it I expected the fabric to be a bit softer than it actually was. But maybe that is the secret of keeping me warm. A great bundle with great value! The gloves and socks fit very well in Large, and they feel like a second skin. I wore them both between 50 and 70 degrees, they did their job very well. Looking forward to test them in colder weather. 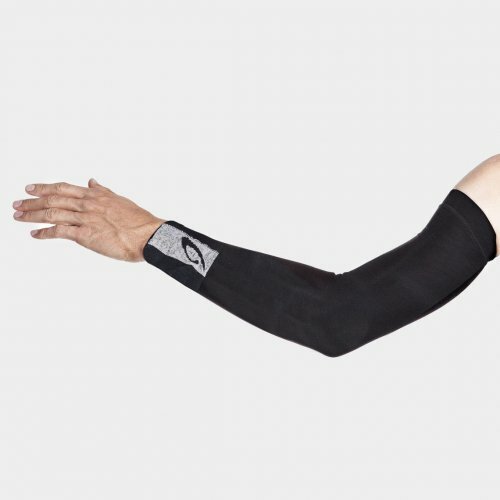 Also great are the kneewarmers and arm warmers. I bought them both in Large (I'm 1,87 cm / 80 kg), they fit very well and are very comfortable. I'm sure this is not my last order at Isadore. The bundle is a great start to check out isadore product line. 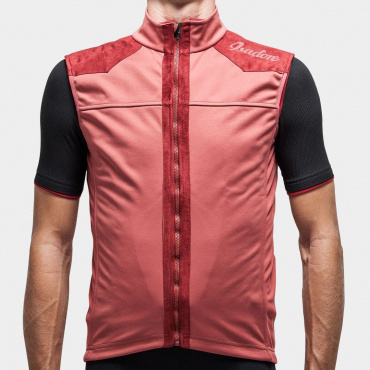 If the jerseys, bibs and jackets are at the same level, I probably have a new favorite cycling wear brand. I will check out other products by sure! 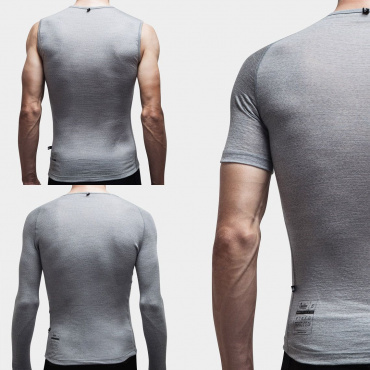 I also bought the base layer LS, which've I also reviewed.